Everyone wants to be able to have a good, full-bodied workout, but with so much equipment out there on the market, how can one choose which product to buy? Luckily, we’ve taken a look at one of the more popular options out there: the Stamina 1700 Power Tower, which is a compound body-weight workout tower that’ll supposedly help you build natural body strength and sculpt your own beach body. The Stamina Power Tower has a ton of body weight exercises built into it, such as push-ups, sit-ups, pull-ups, tricep dips, vertical knee raises, and chin-ups from a variety of different positions all within a compact frame that’s only 85 ¼ inches high. This product has been on the market for awhile and it’ll cost $237.50 on Amazon. There’s plenty of exercise equipment out there, so let’s take a closer look at this piece of exercise equipment and see just how it measures up. Many exercises available without having to adjust the tower. Supports up to 250 pounds but only weighs about 90 pounds itself. Five year warranty on the frame. Padded contact points for added comfort. Free standing – do chin-ups without worrying about busting out the top of door frames. Small form factor – 54.5 (L) by 48 (W) by 85.25 (H) inches. The Stamina 1700 Power Tower is a multi-stationed solution that’s a great purchase for anyone wanting to get the most value from their dollar when it comes to exercising equipment. Once set up, the Power Tower will allow users to go through six different types of body weight exercises without needing to be readjusted or put into a different setting. 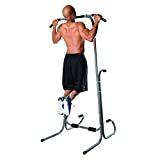 It can be used for vertical knee raises, tricep dips, sit-ups, pull-ups, push-ups, and chin-ups from a variety of different grip angles. It’s made with a sturdy steel frame that’ll give it a ton of durability against heavy usage, but if something does happen to it, the purchaser can take advantage of the manufacturer’s five year frame warranty. There’s padding at all the major contact points to ensure all possible exercise routines will be comfortable for the user and it all comes in a sleek black and gray look that’ll match just about any type of home-décor. Most exercising equipment on the market either risks damage to a person’s property, such as a pull-up bar that hangs from a door frame, or is extremely bulky and requires frustrating changes to the unit itself each time someone wants to change exercises. In addition to that, most options will only cover one or two exercises each. The great thing about the Stamina 1700 is that it’s a one stop-shop for just about every major body weight exercise you could need and makes setting it up and using the device very easy and straight forward. While this multi-station tower does bring a lot of great things to the table, it’s important to realize it isn’t perfect and does have a few cons to keep in mind. One of the biggest hassles the device requires is installation time. There are hundreds of bolts and nuts that come with the unit, which is one of the reasons that the device itself is so durable. It’s going to take awhile to put together, so make sure to have some time set aside if you need to start exercising quickly. Luckily, the assembly instructions it comes with are very easy to follow, even if they are long. There’s nothing too complex to figure out, it’s just actually going through the motions to do it that takes so long. While the device itself is very durable and the user won’t need to worry about it bending or breaking, the fact that it isn’t bolted to the floor means that it can wobble around a bit, which is a sacrifice it makes in its effort to be both light-weight and small volume. 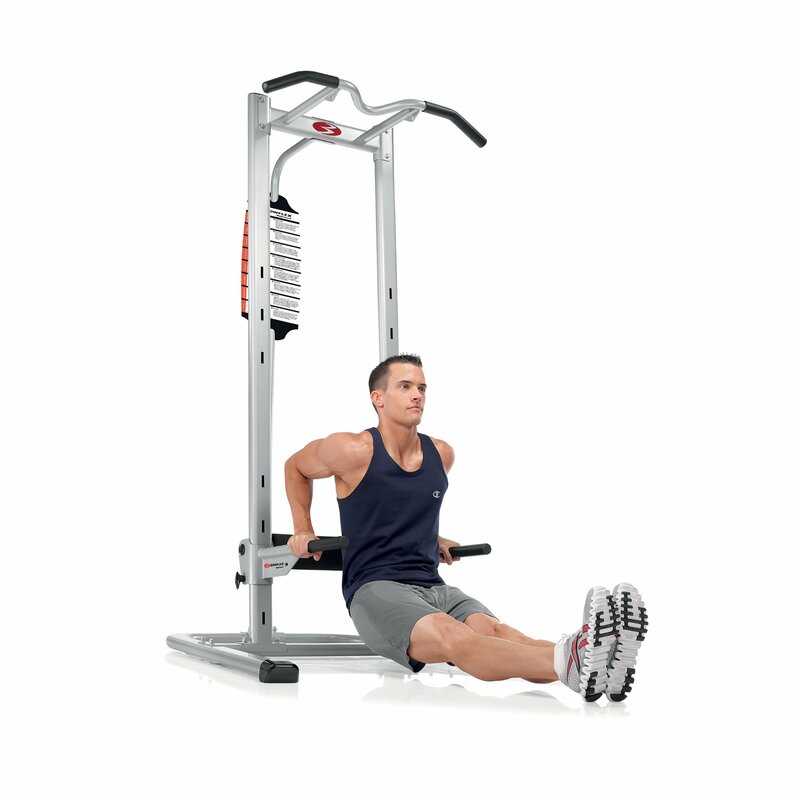 Sit-ups in particular can cause some worrisome wobbling of the unit, but luckily this can easily be fixed by adding some weights to the tower’s base. Overall, the Stamina 1700 Power Tower is a great piece of exercise equipment that will definitely be worth its money in any exercise room. It doesn’t take up much room, isn’t too heavy on the floor, and while it does take awhile to set up, users don’t have to worry about doing anything wrong thanks to its straight-forward and easy to follow instruction manual. It’s a great way to get a full workout from body weight exercises alone or it also works to complement any weight-lifting routine. In addition to that, the warranty it comes with will ensure it’s going to be a long-standing addition to any exercise room. Anyone who’s interested in getting more active should definitely look into its purchase.